For each creature you have in play, you gain 2 life. 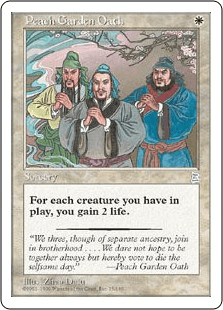 "We three, though of separate ancestry, join in brotherhood . . . . We dare not hope to be together always but hereby vow to die the selfsame day."